Your resume is your digital representation of you. It is NOT paper and shouldn't be thought of as paper. That's old school. No one prints resumes and sends them off via mail anymore. A well written resume should serve three purposes: 1) survive the screen; 2) survive the read; and 3) background info for the actual interview. If you don't survive the screen or the read, you will not get to the interview. And if you don’t get to the interview, you will not get to the job offer. So you need to: a) give enough information to get the interview; but also b) not attempt to interview with your resume. Give them enough to know you meet the qualifications for the role, but also leave the reviewer wanting to know more about you. In addition to the read factor, you need to keep in mind the search factor. Employers are searching for candidates to fill roles for which you are qualified so your resume needs to be searchable for the major keywords related to those roles. Keep it brief. 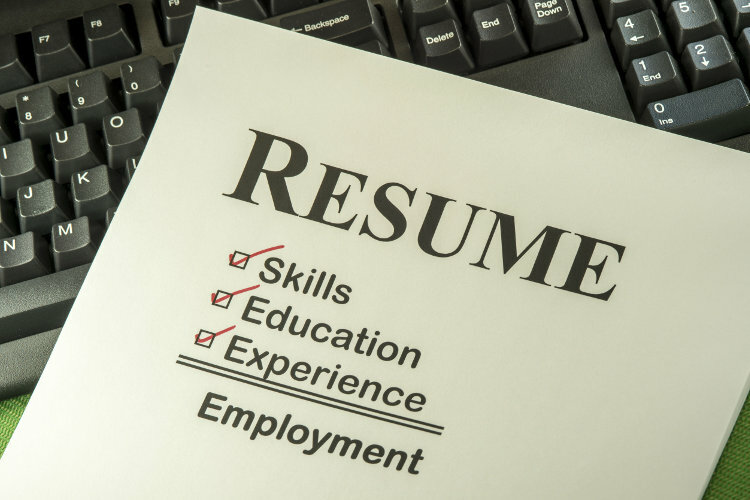 For new grads and recent grads (1 job or less), keep your resume to a single page. For experienced candidates (2+ jobs), you can go onto a second page if needed. Here are the major sections: 1) Contact info; 2) Objective (yes, you really need an objective); 3) Summary (3-5 bullet point summation of your background); 4) Education; and 5) Experience. If you are in college and need to fill out the page, you can add an Activities section at the end or in lieu of the Experience section (if you do not yet have any notable work experience). Your resume will likely be the most edited document of your entire career. It should be customized for each application and updated as you gain new experience and skills. It is not enough to sit down and write a resume once, then be done with it. Yet you can make the process smoother by starting with a great resume template, such as the free Quickstart Resume Templates at CollegeGrad.com. Don’t waste your time trying to come up with the best format, we already have it for you and it’s free. Remember, the resume is a tool to get you to and through the interview. It will not get you the job, but if it's not well done, it can keep you from getting the job (or even the interview). For more information on how to write your resume masterpiece, please visit the Entry Level Resumes section at CollegeGrad.com.